Coaching Team : Mary returns from maternity leave to lead classes and workshops, while Aoife winds down towards her maternity leave. Anne continues to teach classes while keeping us updated on all her ultra running plans. 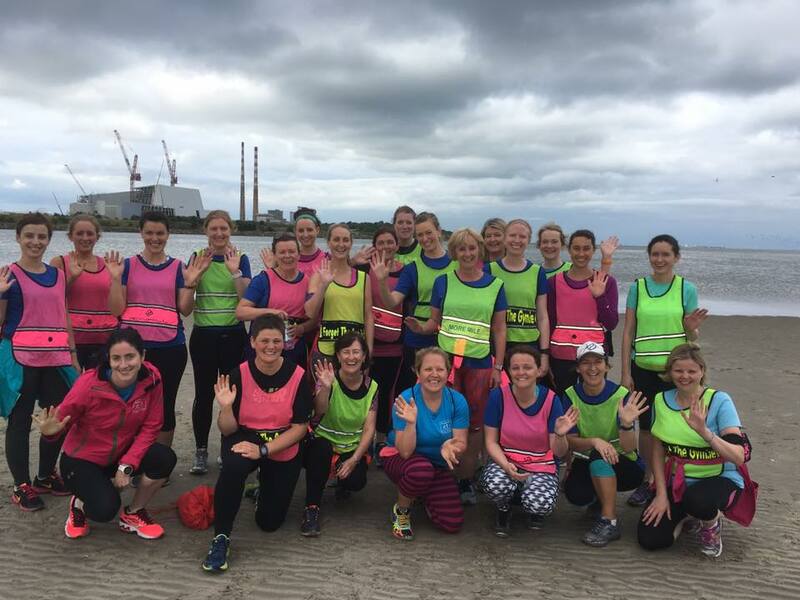 Beginners Running Classes – Our original 8 week course returns to Sandymount and Clontarf taking you from walking to running 30 minutes in 8 weeks. Find out more about Beginners Classes. Changes to class format : We had great positive feedback from Anne’s Strength and Conditioning pop-up classes this year. Also, many of you have asked for a return to BeachFit class. While we don’t have the capacity at the moment to create new classes for these, we are going to build in more Strength and Conditioning and BeachFit exercises to all our FunRun and Strength and Speed classes this term. This means that 2 of your 8 weeks will take on a new format – a circuit style class of exercises and techniques to help make you a better runner. We hope you enjoy it. Based on your feedback of this, at the end of the term we will decide then how to change the timetable again for the Spring. Thursday Classes : We are back to Clontarf (subject to getting enough numbers) on Thursday now as well as Tuesday. See timetable and booking form. Changes to Timetable : For this term only, we say goodbye to our 7.30pm Monday night Strength and Speed in Sandymount and replace it with our Beginners class. We apologise to those who were hoping to do this class, and we hope to return with it again later in the Spring. All other classes remain as per 2016. See full timetable. Full timetable and class booking : Here is the full timetable for our classes starting 16th Jan which bring us up to 9th March. Booking is now open and class places will be limited in all classes. The next term starts 13th March. Our focus for the Spring : After an autumn full of marathon talk, we get focused again on short distance, improving 5ks and taking part in parkruns this spring. Writing in The Irish Times : Mary will continue to write each fortnight in The Irish Times on running, but also on fitness, pregnancy and post natal exercise. Read recent articles. 10th Birthday : ForgetTheGym celebrates it’s 10th birthday in 2017. We have no big celebration plans yet, but we do have our thinking hats on. Any ideas, let us know. Facebook Challenge : We are still managing to keep lots of you moving this December, albeit just 1 minute a day. Keep it up now. We will decide later in the month how to proceed with the challenge in the new year. Join the challenge. So that’s what going on with us at the moment. We hope we can continue to adapt our timetable to suit what you are looking for. Thank you everyone for being a part of 2016 at Forget The Gym and we hope to see you all in 2017.